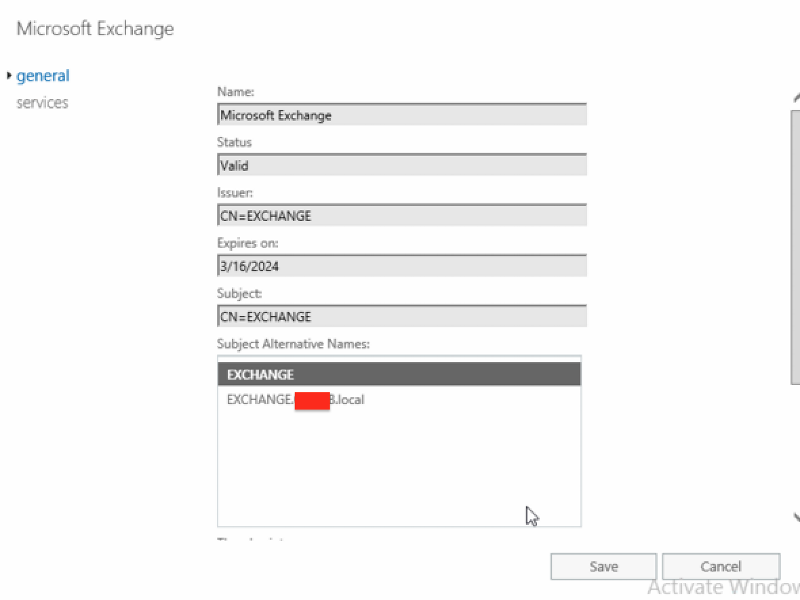 Removed a SBS2011 and migrated to a Server 2016 with 1st VM (PDC) and 2nd VM(Exchange 2016). Rekeyed the cert and everything works fine except Android devices. 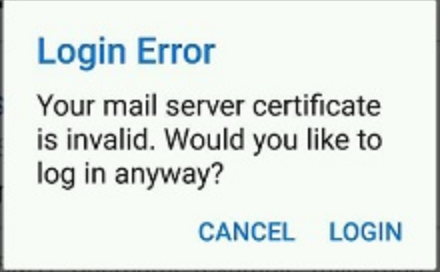 Get this error. Allot of information on the internet but haven't seen anything that's helped resolve the issue. Microsoft updating the TLS to 1.2, but providers not having done this, as we are all having this problem with mobile phones and tablets using Outlook. Some information about this on the internet but the links don't really give any resolution. Well if the problem is on the certificate, then the problem is simple, he has to get a new certificate that allows TLS 1.2 and is correctly signed. At least that you want to implement Certificate authentication with these devices. Jose, certs always seem to get the best of me. 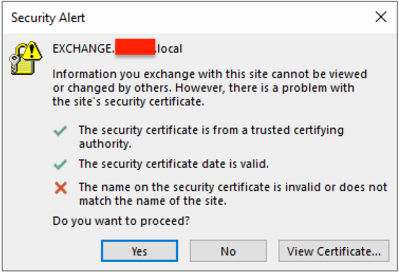 Turns out the local computers Outlook connects but this cert error pops up. This doesn't have anything to do with remote though, correct? I added all the names to the certs but maybe forgot this one. 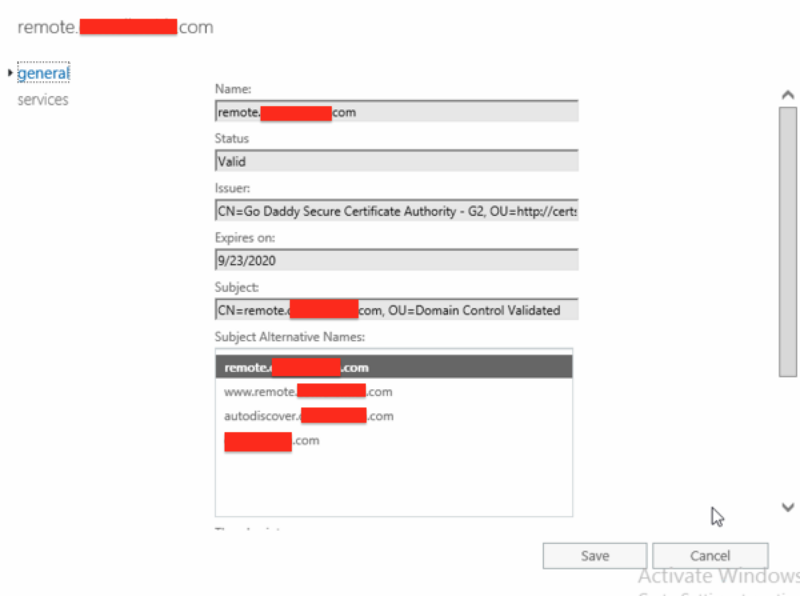 The GoDaddy cert I didn't add exchange.domain.local, should I have added this to the cert? You can't add a .local to a GoDaddy cert. Support was discontinued for that years ago. What services are connected to your GoDaddy cert? How many Exchange servers do you have? ...and how do you recommend I configure them? 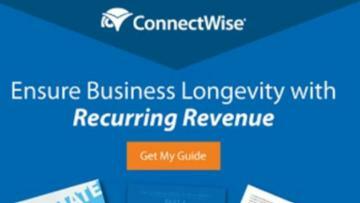 I added a forward lookup zone in my DNS for the .com domain and added host A records for www, remote, and autodiscovery. Testing now. Turned out an internal URL in the virtual directories was misconfigured. Corrected this and only other issue was external website didn't pull up on the LAN so I added a host A record with external IP. All is working now. I think I finally have certs figured out. As you can see in a previous post regarding certs and exchange I seem to run into bottlenecks. Turned out an internal URL in the virtual directories was misconfigured. Corrected this and only other issue was external website didn't pull up on the LAN so I added a host A record with external IP. All is working now.